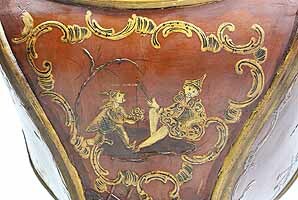 A Fine and Rare Venetian 18th-19th Century Chinoiserie Decorated Red-Lacquer and Parcel-Gilt Gondola (Gondolieri) Chair. 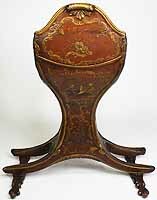 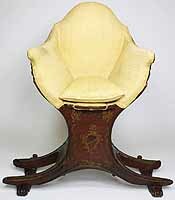 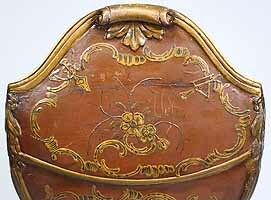 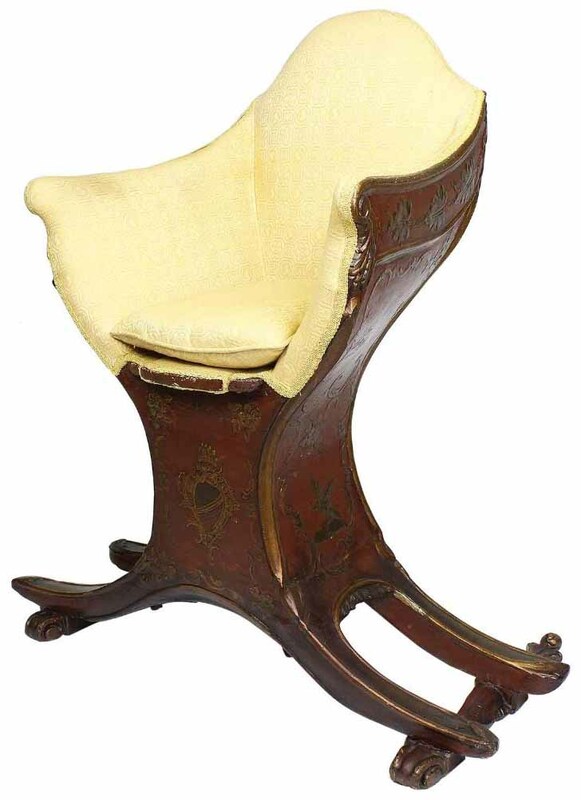 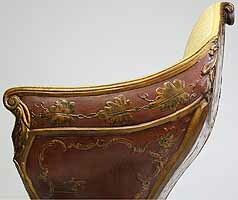 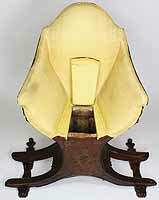 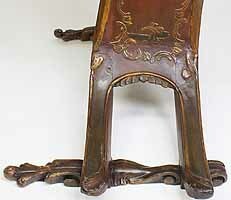 The curved sides centered with a pillow seat and padded back and sides, decorated with a parcel-gilt and ink crest, probably the Gondolieri's family Crest, scrolls and acanthus with floral, leaves, birds and tree decorations and an allegorical painting of two Chinese male figures, resting on twin bracket feet supports. 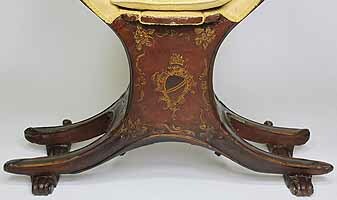 The seat with a storage compartment under a lifting door. 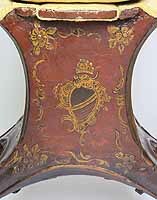 Circa: Venice, 1800.